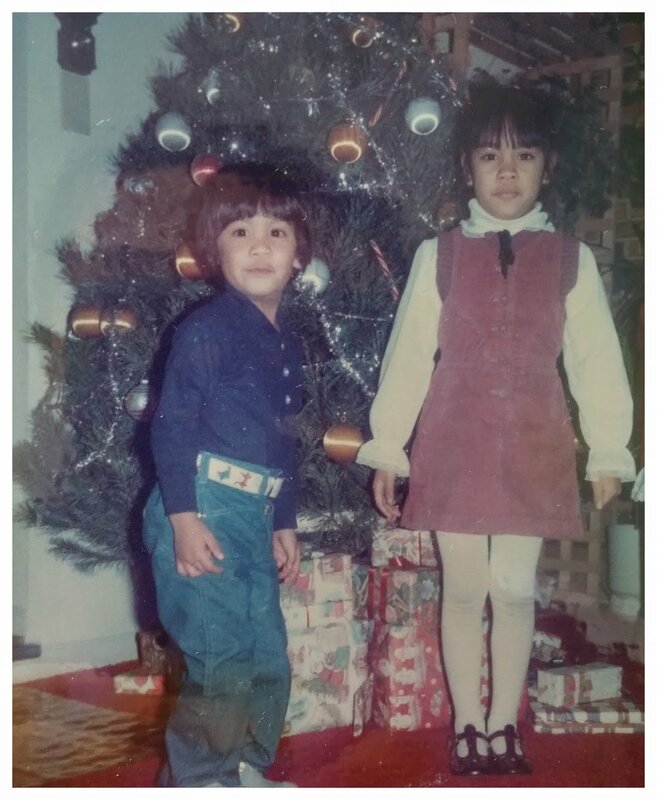 Growing up, my brother and I were very blessed. We wanted for nothing and got everything we really needed. But one thing we always seemed to feel we lacked was our parents' attention. I am not sure why, but it always seemed to be a competition with my brother in gaining their attention or approval. Over the years it was enough to give our parents a headache. We made it though. We managed to survive an often less-than-harmonious childhood. Our relationship today is so much better! When I look back at that challenging time, I recall one thing that managed to mend hard feelings, my mom's kare kare (pronounced ka-reh ka-reh), a special Filipino dish made with oxtail and peanut butter sauce. Everyone loved it! I really don't know why it had that effect on all of us but it certainly was my brother's favorite food growing up and it still might be. So when I think of kare kare, I think a lot about my brother, family, and mended feelings. It has become tradition in my parents' house that they prepare kare kare to celebrate my brother's birthday. I think it is a very loving act, one I might continue not only to celebrate his birthday but also to teach my son the importance of handing down family traditions. As I mentioned before, kare kare is made with peanut butter. Luckily no one in the family had peanut or any other nut allergies. But now that these allergies and food sensitivity issues have become so common, we were thrilled to discover that we could substitute other ingredients to make a sauce similar to the peanut butter sauce in kare kare. Folks with peanut and nut allergies and sensitivities can finally enjoy kare kare! Peanuts are actually a legume. People just associate them with nuts because of the name. Peanuts are considered one of the top food allergens. So why are more and more people becoming allergic or sensitive to certain foods? There are a number of answers to that question. But one of the reasons is our food supply which is inundated with tens of thousands of chemicals and toxins year after year. Our society is becoming more and more sick. And this is a major problem. This is why I recommend organic and non-GMO foods and products and less processed foods. Yes, organic foods and goods are more pricey but in the long haul it's so much better for people's health and wellness. There are a number of nut butters available in the organic section of grocery stores. You will find cashew butter, almond butter, walnut butter, pecan butter, macadamia butter, hazelnut butter, and pistachio butter. We really like cashew butter and almond butter for kare kare. Cashew butter tastes very close to peanut butter. For those of you who cannot have nuts, sunflower butter is fantastic in kare kare as well as curry dishes. Even if you can have peanut butter, I would skip conventional brands like Skippy, Jif, and Peter Pan because these have low quality, unhealthy ingredients such as refined sugar, palm oil, and hydrogenated vegetable oils. We are talking about altered, chemically modified, overly processed, and hard to digest junk that the food industry considers food. Plus the real stuff tastes so much better. Go for brands like Woodstock, Artisana, and Once Again. One other thing to consider is the eggplant in the recipe. I highly recommend omitting the eggplant if you have arthritis because eggplant is a nightshade and will aggravate the inflammation. Nightshades are plants that grow during the night. So arthritis sufferers would also want to avoid tomatoes, potatoes, and peppers. Regardless of whether it's for special occasions like birthdays or not, we love kare kare! 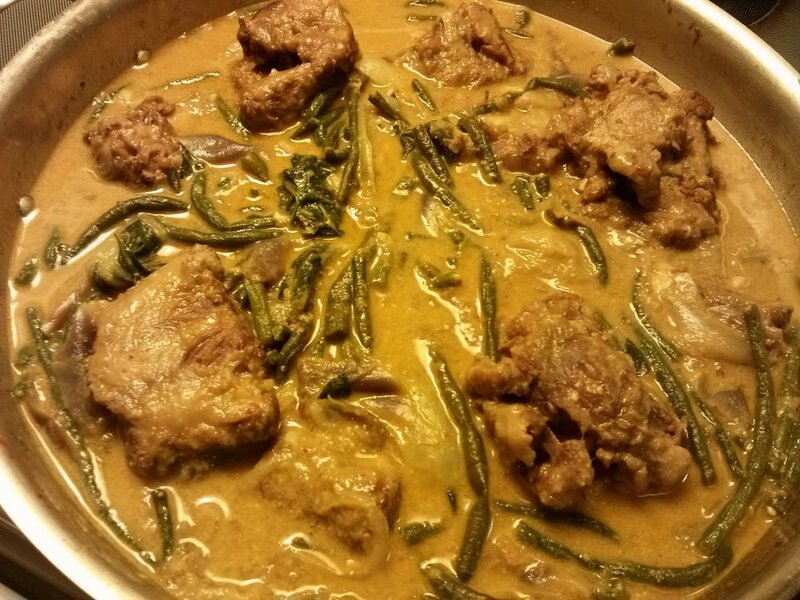 Here is my mom's clean kare kare recipe. And don't forget to enjoy it with hot white organic rice. Eat it whenever you can with the very best ingredients possible, live life to the fullest, and be merry. Simmer oxtail for 2 to 3 hours until tender in a covered pot with water and a pinch of Himalayan pink sea salt. Heat olive oil in a pan and sauté with the garlic for a minute or two and then sauté the onions. Add the oxtail and save the liquid from the pot used to simmer the bones. Add in the shrimp paste. Strain the liquid from the soaked annatto seeds and add the liquid into the pan. Sauté the meat for 5 minutes. Keep mixing so the shrimp paste is incorporated well. Add the liquid from the simmered bones. Then, add the beans, the eggplant, bok choy, and banana blossom. When all the vegetables are cooked about 10 minutes, add the cashew butter. Mix it well into the sauce to thicken. Enjoy!